Cargill recently announced that it will begin labeling packages of ground beef containing what is colloquially known as pink slime according to The New York Times. Pink slime is called, “finely textured beef,” by the beef industry. It is made from beef trimmings left over after the processing of higher-quality cuts of meat that is washed in citric acid or ammonia to kill contaminates. Last year an ABC News report exposed its widespread use, sending ripples to consumers, and through the industry. That report resulted in the closure of BPI facilities and a significant job loss on the High Plains, as companies like Kroger, Safeway, and McDonald’s removed it from their shelves and products. Cargill says it has spent the past 18 months researching consumer attitudes toward the ingredient. 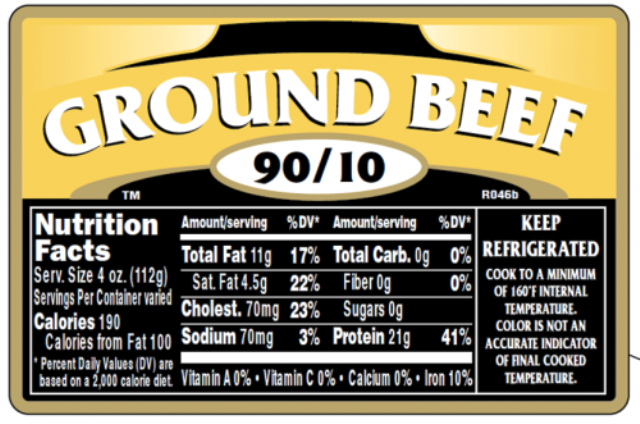 It has also created a website, groundbeefanswers.com, to provide information for consumers.